Award-winning documentary filmmaker, producer and writer, Kate Horne, talks with Plan South America about her commitment to storytelling in Latin America. From tales of tense relations between guerrillas and kidnap victims in the depths of the jungle in war-torn Colombia, to securing an interview with Bill Clinton regarding his friendship with literary hero Gabriel García Márquez (which nearly ended the Cuba embargo), and venturing into the heart of the Ecuadorian Amazon to discover the Shuar people’s head-shrinking rituals; Kate’s works have been consistently bold and revealing. 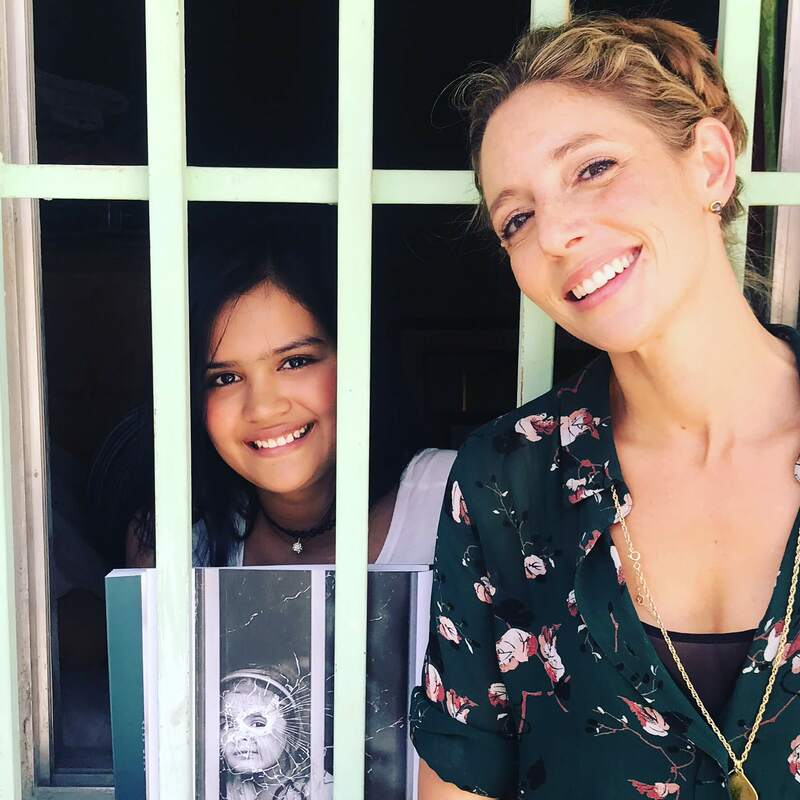 Revelling in her recent journey through Colombia with inspirational war-photographer, Jesus Abad Colorado, Kate talks about the positive changes she is witnessing in Colombia and her hopes to focus next on women’s rights in Latin America. The documentaries you’ve directed and produced have predominately focussed on Latin America – what drew you to story telling in this part of the world? I took a gap year travelling around South America and then did a degree in Spanish and French. I always knew I wanted to tell stories, from a very young age at school and then more-so at university, but I got that passion for South America when I went travelling. 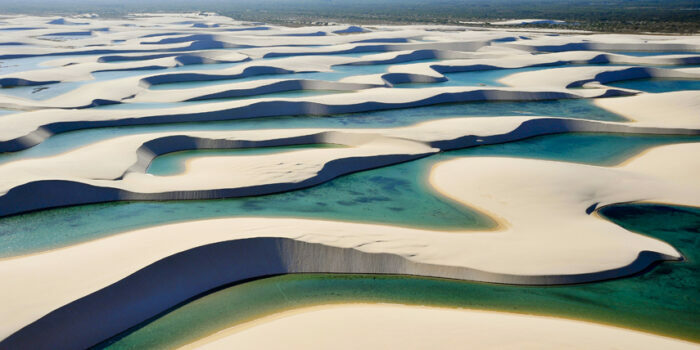 I wanted to tell stories about South America as I felt such an affinity; a connection I suppose, with everything about it and I’ve never looked back. 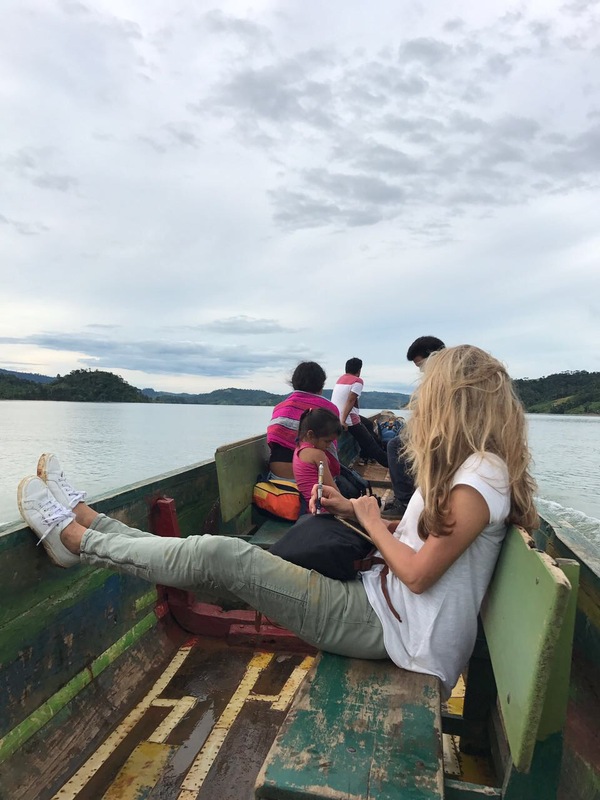 In South America, particularly in Colombia, there’s a feeling that anything is possible, you don’t know which direction things are headed, and that’s what I wanted to talk about. 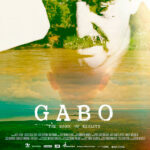 Your Emmy nominated documentary ‘Gabo’ explores Gabriel García Márquez’s life and works. His writing aside, what do you feel is the most compelling quality of the man himself and what ultimately convinced you that this was a story worth telling? The fact that he was, without us knowing, behind many important political moments in the 20th Century. He was present at key moments such as the fall of communism in Europe, and he was always documenting them. I was also fascinated by his relationship with Clinton; their closeness. The closest the U.S. ever got to lifting the Cuba embargo was through García Márquez’s direct involvement and his friendship and discussions with Clinton. 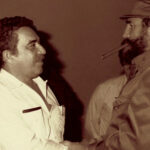 He was a ‘go-between’ for Fidel Castro and Bill Clinton. I found this one of the most interesting things about García Márquez – I love his books, lots of people do, but I wanted to bring this new and fresh information from his story to light. Americanah by Chimamanda Ngozi Adichie. Another wonderful author who narrated our film on García Márquez, is Juan Gabriel Vasquez; he’s Latin America’s next Vargas Llosa. Vasquez is a brilliant writer, he’s written a number of novels, and I think he’s the most exciting young Latin American writer of his generation. The Sound of Things Falling is excellent, based around a past that comes back to haunt from the Escobar years – it’s beautifully crafted. Which are your favourite parts of Colombia and why? Anywhere really off track that stands out for you? 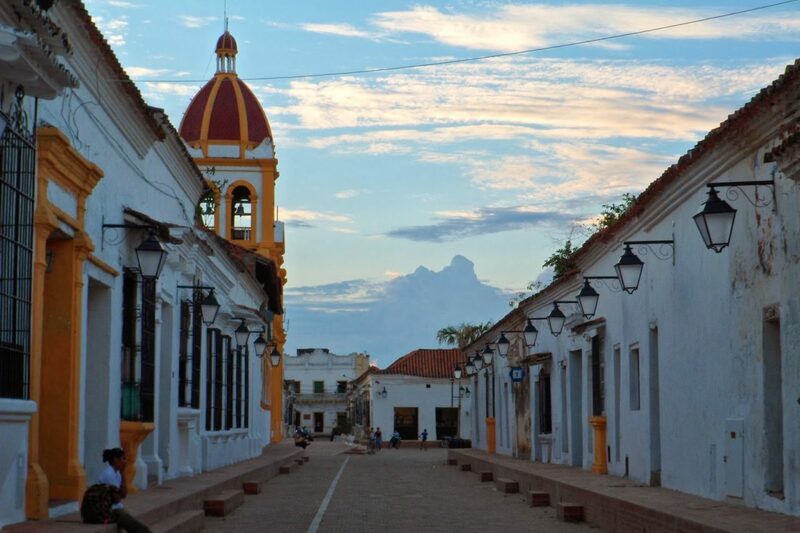 I particularly love the north coast; Cartagena of course, but also Palomino, which is the place of the moment and everybody’s talking about it! It’s beautiful, I went a few years ago, but it’s a place I’d love to escape to for a while. I also love Medellin. I love that within reach of this very vibrant urban hub there are wonderful fincas where you can go horse riding through gorgeous mountains. I love writing there and coming up with ideas, even more so than on the coast – it’s a real source of inspiration. 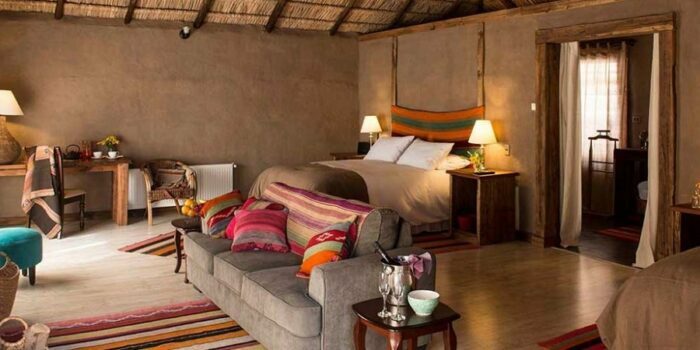 I went to Santa Cruz de Mompox recently which was amazing and I stayed at La Casa Amarilla, which was opened up by a British expat, Richard McColl. Mompox is the new Cartagena, completely beautiful, with a really interesting history of gold trade before the river there got too built up with sediment that traffic stopped going there; it’s like the city was trapped in time. The colonial architecture is stunning. You’re clearly a passionate storyteller – do you have any favourite anecdotes from your filmmaking? The most memorable thing about working on ‘Gabo‘ was that everybody said I was never going to get to Bill Clinton to tell me about his friendship with Gabo. Everyone was very negative and defeatist really. But I never gave up, I knew that relationship was a really important factor in the film – and we got there. One of my most special memories was working on ‘My Kidnapper‘, which is a beautiful film about forgiveness, made with Mark Henderson, who had been kidnapped in Sierra Nevada years ago. We met when I interviewed him for an article and he said ‘Can I confide in you? I’ve been messaged by my kidnappers…’. So I then spent five years translating emails between him and his former captor – it was a very emotional journey – not only through making friends with Mark, who had gone through being kidnapped, but also it was such a long journey to gestation and we never gave up. That’s how we had the idea of making the film, using my languages to translate the communications for five years, then getting people to come back together and meet each other after everything that had happened. In ‘Headshrinkers‘ you journeyed deep into the Ecuadorian Amazon to learn about the ancient rituals of the Shuar people. What was the most memorable experience from your encounters? I just found the Shuar people incredibly welcoming. They let us into their communities to see their culture and talk truthfully about a part of their past. They’re a very proud nation of the Amazon and I respected so much of their traditions. They believed that there was no such thing as a natural death; that every death was due to bad arrows and spirits being sent onto the community and had to be avenged. They shrunk heads because they believed that when somebody was killed, the spirits were contained in their heads, and that part of the brain would avenge death unless the spirits were controlled by cutting off the head and completing their ritual. They were really understanding in letting us in and explaining these rituals to us. Even though it was shocking to us and seemed extreme, I respected that head-shrinking was an important part of their culture. I also met indigenous people in Colombia, the Kogi people who live in the Lost City of Sierra Nevada (Teyuna), who really guard their culture. They were protecting their land which has been caught up in the conflicts, although they’ve been totally innocent. With the end of the war in Colombia, hopefully they’ll be able to live in peace away from any drug trafficking or conflict. You worked on documentaries ‘Narco Guns’ and ‘Hostage in the Jungle’, exposing stories of corruption, kidnapping, violence and crime. How have you seen Colombia and Mexico change since your early visits? It’s an amazing feeling going back to Colombia now and making positive films. I loved working on our García Márquez film; celebrating Colombia. And now making a film about peace in Colombia with the amazing war photographer Jesus Abad Colorado – ‘Witness’ celebrates the future that Colombia can have, it’s about moving forward positively. We’ve made stories about the complexities of Colombia’s situation in the past, but we’ve also made them to explain that it’s really not black and white; the civil war was very complicated. But now we’re really exciting to be making more positive work! Tell us about your mission with Jesus Abad Colorado to tell the stories behind his photographs of the ‘pueblo Colombiano’? The impetus was the war coming to an end. We wanted to do a film that was positive, and Jesus had crossed all the lines of the war for 25 years as a photographer. He wanted to know who was still alive from his photographs. It was an amazing journey to go and find out what had become of his subjects and celebrating the people that were still alive. He wanted to find out if they felt they could forgive all that had happened – many had family members disappeared or killed. Jesus’ mission was to travel Colombia and basically preach to everyone about the power of forgiveness. In many cases in Colombia the worry is that there might be peace on paper, but not in the minds of the Colombian people. There’s been a big public peace process and lots of noise around the President receiving the Nobel Peace Prize in Oslo. Jesus travels with his photographs to reach out and talk with people about why it’s so crucial to not pass the desire for vengeance onto the next generation. Carte blanche – whose story would you most like to tell? I would like to tell more of the women’s stories in Latin America. There have been a lot of things happening lately, around the world, surrounding violence against women – now’s the moment for women to stand up and really be empowered. I think it’s particularly important in South America, where on the one hand the women are such a strong force, but they still suffer so much. I’d also like to explore the abortion issue; I’d like to make an empowering film with a big name behind it to campaign about that issue, and not just in South America. Best music for an open road? I love the Cuban musician Silvio Rodriguez. 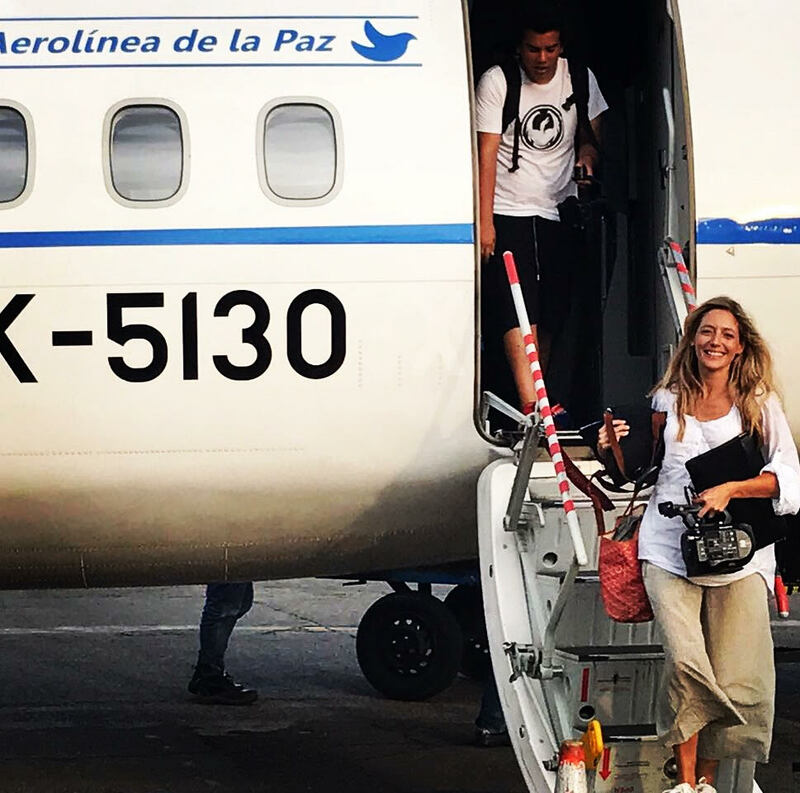 Carlos Vives is fun for Colombian road trips, and the Mexican band Maná’s song in El Muelle De San Blas particularly reminds me of road trips through Latin America – it’s all about unrequited love! Ear plugs! I’m such a light sleeper and it’s a nightmare when filming and sleeping out inweird places with loud animals or whatever it might be. 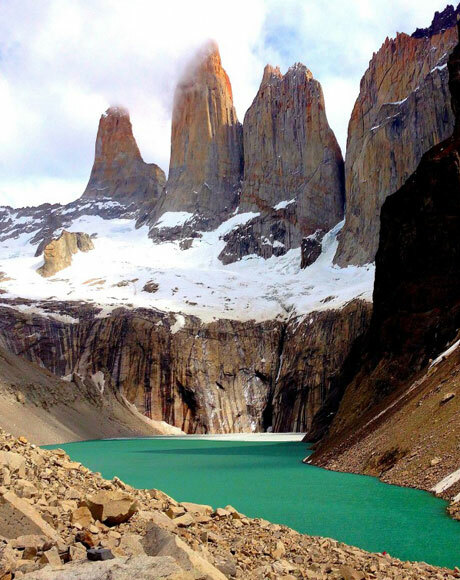 Where are you happiest when not gallivanting around Latin America? Anywhere by the water. We live near the river in Chiswick and spend a lot of time in Lyme Regis in Dorset.